Youth Ventures is looking for extraordinary people to join our team! Youth Ventures was started back in 1992 on the Northern Peninsula with 2 participants. 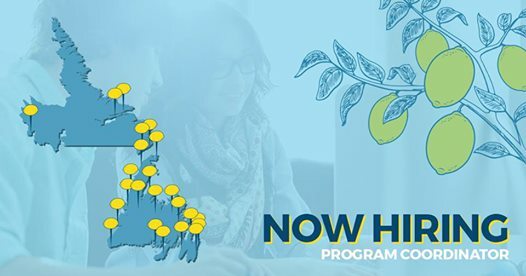 Since then, the program has grown and now hires 23 Regional Coordinators across Newfoundland and Labrador who are there to help students start businesses. Designed for students 12-29, Youth Ventures works with close to 300 students and helps start almost 200 businesses each year. Since 1992 the program has helped over 7000 young people explore entrepreneurship. There’s no one too young or too old to start a business. It’s all about taking the hobbies and passion participants have, along with the support of Youth Ventures, and making money doing what they love to do. Youth Ventures has helped students as young as 7 start successful businesses. Youth Ventures Regional Coordinators are there from the beginning to help participants come up with an idea, create a business plan, do market research and point them in the direction of financing to get their business up and running. The Youth Ventures program runs for 16 weeks from April-August. If this sounds like you, please contact provincial@youthventuresnl.com for more information.